Don't Eat the Paste: Paisley Mandalas - with a giveaway! Dover Sampler- it's only going to be up for a week so go and get them! Sign up for the Dover sampler while you are there. Every week they post samples from their great books, which include poetry, clip art, coloring pages and craft projects. 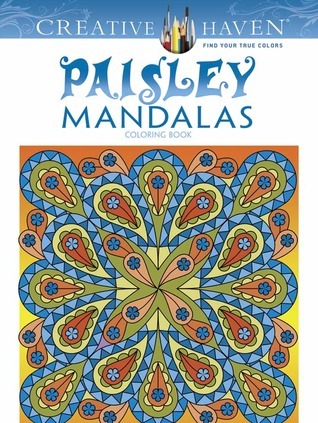 So would you like to win copies of my two books Paisley Mandalas and Groovy Mandalas? For people who live in the US only. So cool! I like the 'daisy' one. I love your mandalas & coloring pages! Hours & hours of wonderful, relaxing play! I love paisleys and your mandalas are great! I love all your mandalas and these are no exception. They are so soothing and relaxing to color. Thanks for sharing your talent! I love mandalas they keep the kids i work with entertained for hours on end.